Do you ever wonder why most ski shops don’t carry handmade skis? They usually carry the same 5-10 brands: the K2’s, Rossi’s, Volk’s and occasionally you will see brands like Armada, 4-Front and a few other mid-sized brands. The reason most skis shops (not all) do this is because they have long lasting relationships with these brands and they are the “safe bet.” The owners of these shops have a pretty good idea of how many they can sell and what will sell. These ski makers are in their mind as the "best ski brands." The last thing ski shop owners want is for May to roll around and to still have a huge chunk of their inventory leftover. Praxis Skis (http://www.praxisskis.com/) Handmade skis in Sierra Nevada, “Our factory is located on the North Shore of Lake Tahoe, where the mountains are our backyard. Our skis are constructed by inspired skiers who take pride in producing the perfect ride for a variety of individual needs and styles. By designing skis that work for you, we aim to elevate the experience of skiing.” Founded by Keith O’Meara in 2005 with the goal to build be highest quality, most cutting edge skis on the market, Keith and his team take great pride in every pair of skis they produce. The quality of their product is right up there with the best ski brands. Igneous Skis (http://www.igneousskis.com/) Igneous is one of the first custom ski companies, founded in Jackson, Wyoming since 1993. "We set out to make the perfect big mountain freeride powder ski that could withstand an entire season of hard-charging in Jackson Hole, a place notorious for devouring skis and boards. That mission remains today." Founded by Mike Parris who was originally from PA and was studying to become a robotics engineer at Carnegie Mellon when he realized his true calling was to build the best damn pair of custom skis you've ever been on. Check out their full story here. Slant Skis (http://slantskis.com/) Slant was started in 2007 by founder Josh Bennett in a garage rented from Shane McConkey in Truckee, CA. When Josh started Slant, his focus was to build the best ski brand he could, while also sourcing all of their materials in the most environmentally friendly way possible. Slant has since moved out of the garage and into their factory, The Tahoe Snow Lab. They now have a handful of employees that enjoy making skis almost as much as they enjoy skiing. I added them to list of the best handmade skis because I personally rock the Slant Cornelious and it is hands down the best pow ski I’ve ever been on. You can check out my Slant Cornelious review here. 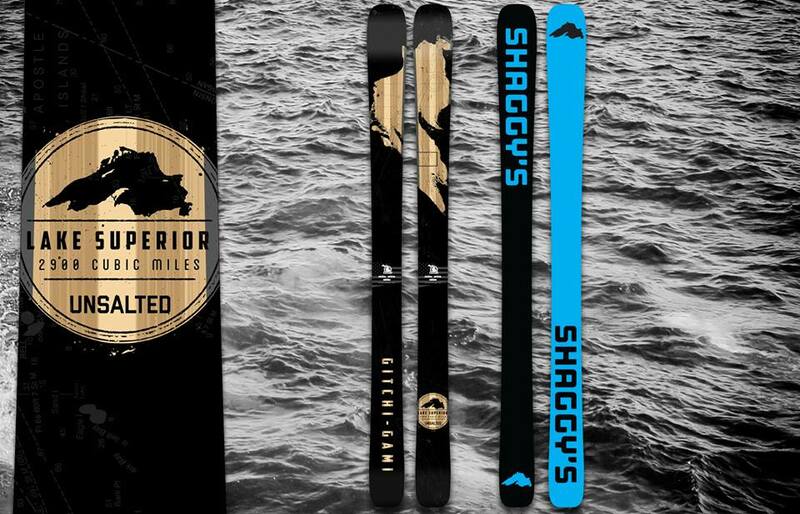 Shaggy’s Skis (https://www.skishaggys.com/) These guys are pretty cool. It’s one of the few places you can find handmade skis in Michigan. A family owned operation, it was founded in 2005 through the family’s hobby of crafting skis. “Here at Shaggy’s we feel strongly about supporting the local economy. We source all materials on the local level, the state level, and if necessary, the national level. We are proud to say that the hearts of our skis come from select cut, northern Michigan hardwood. 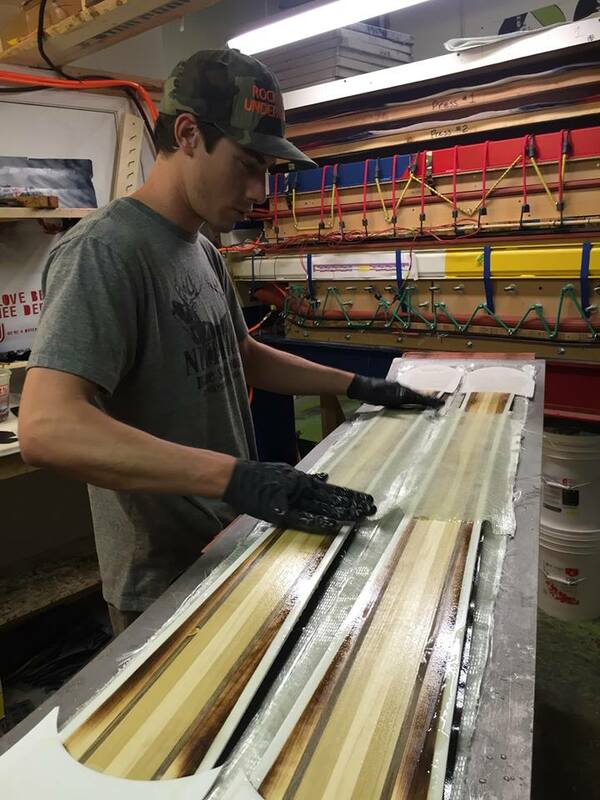 We bring in rough lumber from the mill right down the road and process it from the start to a finished core.” Founded by father and son, John and Jeff Thompson, their goal is to build the best pair of skis you’ve ever been on. Rocky Mountain Underground Skis (https://www.rmuoutdoors.com/) I have personally been following these guys since their start in 2009. Many consider RMU to be amung the best ski brands in the world. Based and built in Colorado and founded by Mike Waesche. “If you’re going to build a ski yourself you’re not going to build a crappy one,” He said. RMU started out as a passion project between a couple of friends. They started out painting houses to raise enough money to build their first batch of skis. Now, they are a leader in the ski building world. Most known for their Professor and Apostle models, I included RMU on our list of the best handmade ski brands because I spent 3 seasons on the Apostles. They were my daily driver and let me tell you, they are a blast in the trees and bumps! J Skis (https://jskis.com/) Some of you may know who Jason Levinthal is. If you don’t, He's built some of the best ski brands, like Line skis and Full Tilt ski boots. He started both and now he’s back hand making some of the best skis you can buy. All of J skis are sold direct, which helps Jason keep the cost down, while still offering the highest quality materials. We included J skis on our list of the best handmade skis because he releases new models in batches. This means that Jason can design a new ski today and in a couple weeks be selling it directly to you. Community Skis (http://www.communityskis.com/) You might know Community skis as 333 skis, famous for their mobile ski factory. Michael Lish and Kristin Broumas take handmade skis to the next level as they combine their love for dirtbaggin, sustainability, and skiing. The result is a kickass mobile ski home/factory. They travel the country building skis wherever they please. Check out their full story here. Wagner Skis (http://www.wagnerskis.com/) These guys are probably one of the most popular custom ski makers and on everyones list of best ski brands For Wagner, handmade skis are a way of life. Founded by Pete Wagner, a computer scientist whose goal was to build the perfect skis for each individual. After moving to Telluride CO, Peter was disappointed with the “mass-produced skis” that dominated the market. So in 2006, Pete started Wagner Custom, and they have been building some of the best custom skis you can buy ever since. 7even Skis (http://www.7evenskis.com/) Started in SLC, Utah in 2009 with the goal of building custom skis with the highest quality materials. Founded by Todd Herilla, an ex ski racer who would log 170 ski days a year. Todd is an old school skier, with a crazy passion for ski building. If you are ever in SLC, you can stop by their shop to get a tune and see exactly what they are about. Renoun Skis (ttp://renoun.com/) Founded in 2014 and based in Northern Vermont by Cyrus Schenck, an engineer and passionate skier. “There are close to 1,600 ski models in today’s market, and we think that’s crazy. Not just the sheer number, but that out of 1,600 skis, so few are fundamentally different.” With RENOUN’s proprietary Hyper Damping Technology™, they aim to drastically improve the way skis are made. If you are a Northeast native, I would highly suggest checking them out. They’re handmade skis that are on another level! HG Skis (http://hgskis.com/) Another small East Coast brand, that’s been building handmade skis since 2010. “HG Skis is the east coast’s premier up and coming ski company. We represent the core scene that is the true east coast. Our skis and products are developed from skiers like you, for you.” Based in Burlington VT, and founded by Harrison Goldberg, their focus is the build the best skis for the everyday East Coast skier. Romp Skis (https://rompskis.com/) Founded by two brothers, Morgan and Caleb Weinberg, in 2010. Starting in their garage, they handmade skis for fun, giving them out to friends. 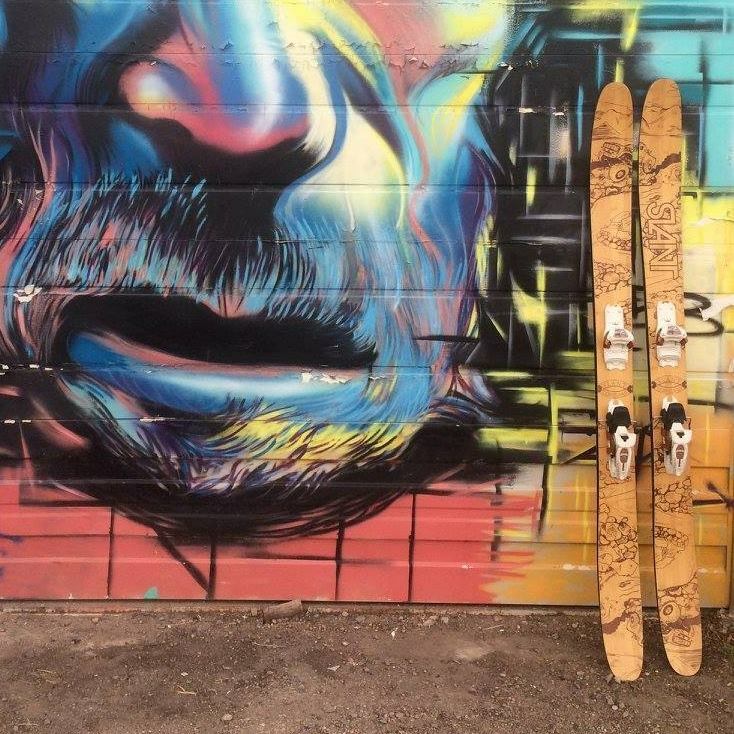 After getting a ton of raving reviews, they rented a factory space and started Romp Skis. “It took most of the next year to perfect the manufacturing system and tools to make a saleable product. By the end of the 2010-11 season Romp Skis was making custom skis for the public.” If you’re looking for your own pair of handmade skis, then check these guys out. Fat-ypus Skis (https://www.fat-ypus.com/) Hands down the fattest handmade skis you can buy. (If you find fatter, please send them my way… I want to try them!) Anyway, founded by a big mountain pro skier, Jared Mazlish in Breckenridge CO. Jared’s goal was to build a ski company that built the best powder skis on the planet. Speaking from personally riding the I-Rock, I and can tell you they are epic! If you like to charge hard in deep snow, drop cliffs and spend time in the air, then check these guys out. 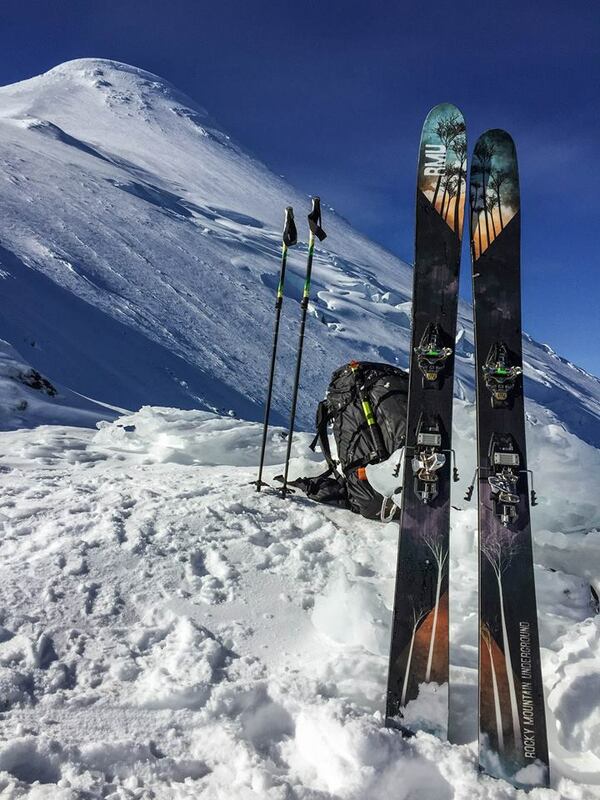 PFD Skis (https://www.pfdskis.com/) Founded in 2012 by Rupert Gammond who had a goal to build and design some of the most innovative and quality skis on the market. “At the heart of PFD is a dedication to the careful production of bespoke handmade skis; every set made to order for a limited number of passionate skiers each year.” All of PFD’s skis are made with bamboo cores and top sheets. We guarantee they will turn heads when you’re in the lift line. Deviation Ski & Snowboard (http://deviationusa.com/) “We are engineers, craftsmen, and artists seeking to break free from stagnant industry standards.” Handmade skis in Oregon and built from locally sourced materials, Deviation was founded in the summer of 2012 by a handful of friends that wanted to challenge the status quo in the snow sports manufacturing world. Deviation offers a number of models, along with custom and build your own workshop options. Deviation is among some of the best ski brands in the world as they use a pretty unique wood called purple heart, which allows them to increase the dampeningof their skis significantly. Sego Skis (https://segoskis.com/) “Sego Ski Co. is pioneering ski manufacturing craft in the heart of the Teton Valley. As a group of passionate skiers and ski artisans, we live here to ski in the Tetons, our backyard, and to produce the highest quality skis in the industry.” Founded by Tim Wells in 2014, they currently offer 5 models that are all made in their local factory. That concludes our list of Handmade Skis - 20 Best Handmade Ski Brands. We hope that you found a couple new ski brands to try. If you want to discover a new outdoor startup every 2 weeks and have a chance to win gear from them, then join the ReddyYeti Community below.